The backpack is my cape. 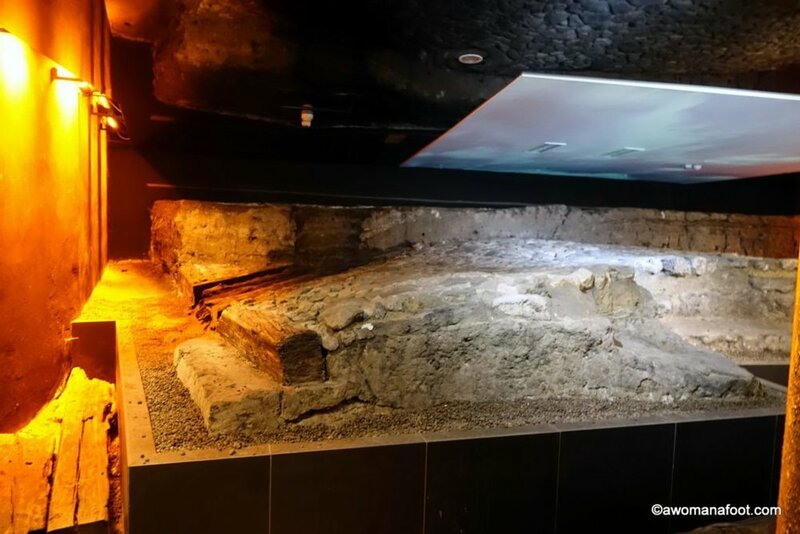 Krakow's Underground Museum: Unearthing a True Gem! When people think about Krakow they might have some kind of ideas about the big ancient market place or the Mariacki Church, the Jewish quarter or the Old University – one of the oldest in Europe. But not many people know that a true treasure awaits them… under the ground. In 2005 archaeological works started at the Main Square. They were supposed to take about six months but were extended to five years after the scale of found materials astounded many. The archaeologists were able to track one thousand years of history of this place. The busiest place in the city – a marketplace – was always the heart of it. The result of this research can be now seen in the underground exhibition which is truly mind-blowing. 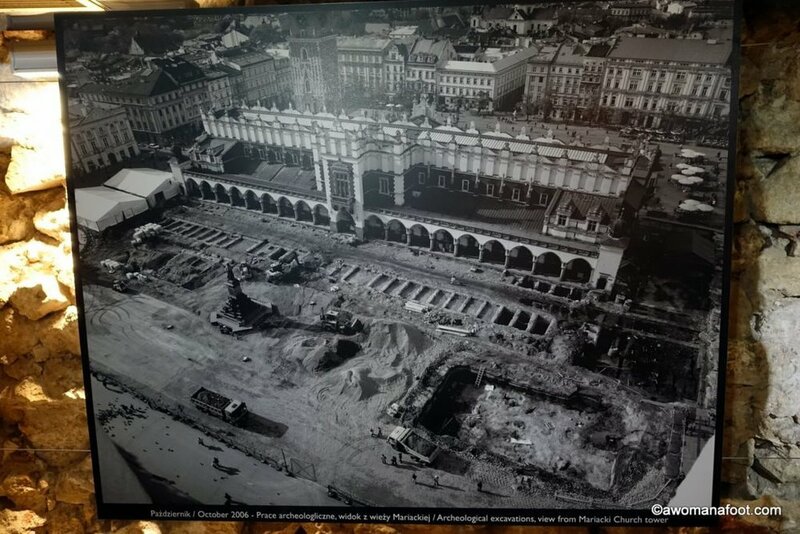 The image above shows the sheer size of the (now covered) Underground Museum. Krakow's Underground Museum: Prepare to be Amazed! When I visited it last year with a group of 4th-grade kids, I was worried they would get bored fast. They told us we should have about an hour to see it all… two hours later we had to kick the kids out because they were closing for the night! Many kids returned home and told their parents that visit to this museum was an absolute must if ever they got back to Krakow. Can you think of a better recommendation? The exhibition shows clear connections between Krakow and other European cities of the Middle Ages. It’s a wonderful journey into the past with clearly visible walls and old streets constructions. There are well-preserved signs of a fire as well as a burial-place (the photo above) from the 11th century. This place was busy with merchants, artisans, local farmers and ordinary folks carrying out their daily tasks. Walking around the museum’s alleys we can have a look into the life of a blacksmith or a merchant. We can watch a movie about the city’s history and many wars that sped through the areas over the years. There is even a proof that doctors in the city were performing a trepanation of the skull! In one place you can see a horse skull buried where it died. Book your stay in Krakow today! 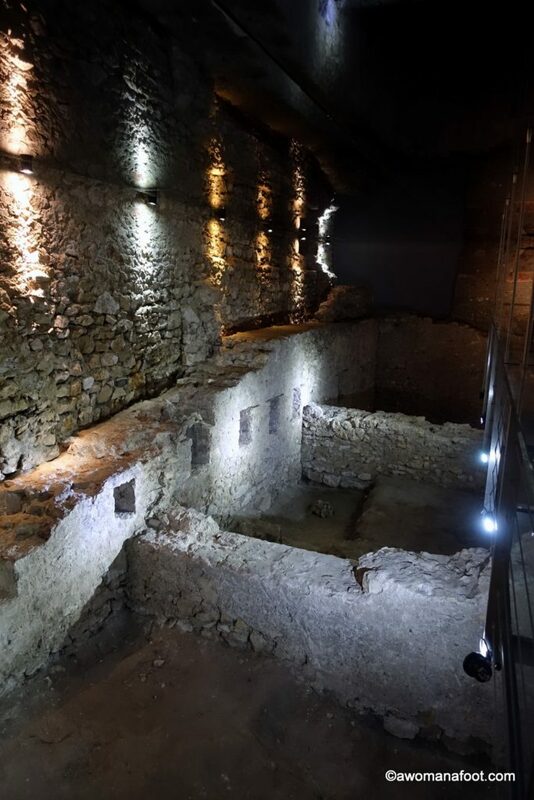 Krakow's Underground: An Archaeological Fun for Everyone! There is so much to see there! 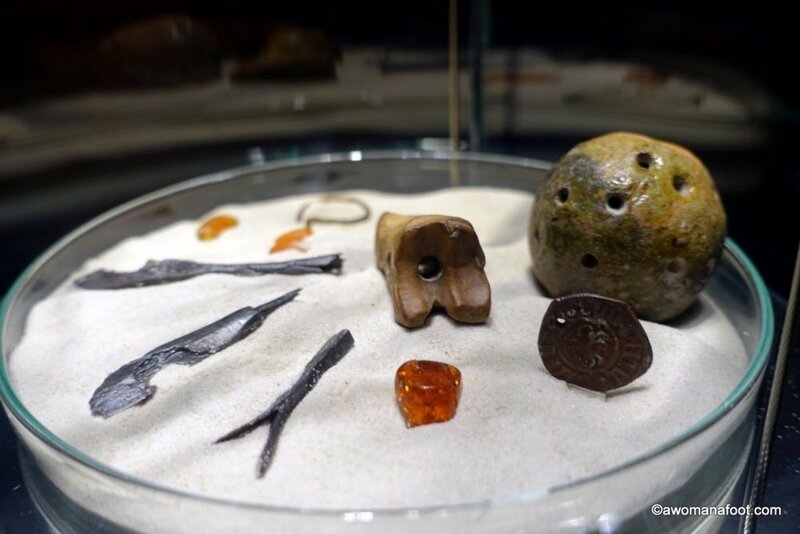 There is something for everyone – for history buffs and regular tourists having first encounters with archaeological research. There are multiple interactive screens and even a reconstructed merchant scale where your weight is given in measurements from the Middle Ages! Not easy to figure it out by yourself – so there is a computer to help you out. Just look at the photos – I am sure you agree with me that it is worth visiting on your next Krakow’s tour! You need to book your ticket ahead of time to secure your entry for a set time. You could hire a guide, but I think it’s not really needed – everything is very well described. The tickets cost 19 PLN for an adult and 16 PLN for a child. There are special prices for family groups. Plan of the Underground Museum - credit. If your group is more than 15 people you have to buy a guide. The uncovered witnesses of a huge medieval fire. Do you want to see more of my photos? A walk through the merchants' "stores". Absolutely fabulous experience with recorded voices of a medieval street to put in the mood. Krakow used to be a main place on the Amber Trail - you can still buy beautiful jewelry made with this unique gem. Places to watch very well done short historical movies (with English subtitles). FYI: All photos were taken mostly free hand with Sony rx100 m3 camera - read my review here. Did I convince you to put it on your list? POLIN Museum in Warsaw: Visit the Best Museum in Europe. The Magnificent Mura: Wandering Through Medieval Charmer. Norsk Folkemuseum: a Must-See When Visiting Oslo. Share with others and pin for later! The Mighty Oatmeal: Breakfast of (Hiking) Champions! © 2016 – 2019 A Woman Afoot. All rights reserved. Photography cannot be used without permission. Do you love hiking? Do you dream of walking alone in the mountains? Do you need some practical tips on hiking, camping and solo travel destinations? Guide to Camping on the West Highland Way!